Situated in an up market, quiet residential area, with Rectory Park to the rear, just ten minutes walk from the centre of Sutton Coldfield. The pub was built in the 1800s and extended in 1999. The clientele are quite diverse, ranging from surgeons and doctors from the hospital next door to sports fans, etc. This good community pub is not at all cliquey with everyone getting on with each other. It has quite strong links with the local cricket club and other groups. The food trade is on the increase and apart from a lull between 3pm and 6pm it is busy all the time. Food can be eaten in the dining area or elsewhere throughout the pub. During the summer the large beer garden and patio area provide plenty of outdoor seating to enjoy the balmy warm evenings. For the Sports enthusiasts there is a big pull-down screen which is really popular when showing the main matches. We would like to point out though that children are not allowed in an hour prior to and two hours after a big football match. 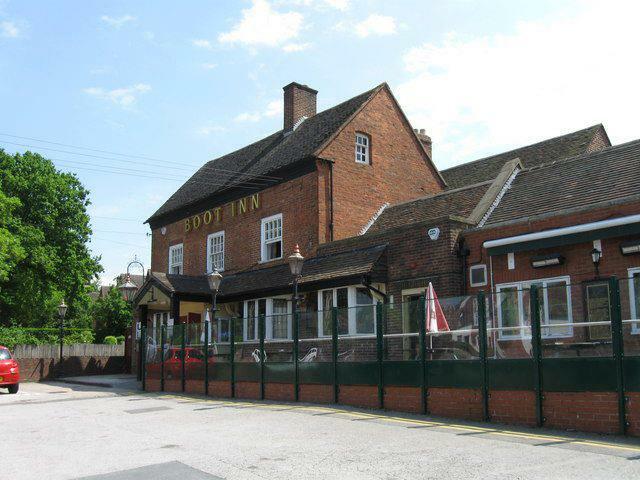 With a good variety of other entertainment, this extremely welcoming pub is well worth a try. There is a friendly team of staff who look forward to seeing new faces!